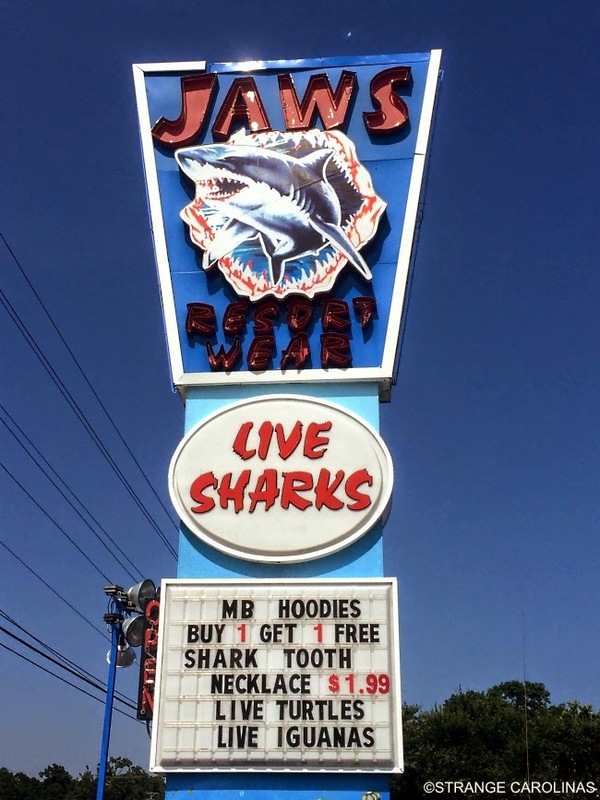 If you grew up loving Jaws, you might want to take a trip to Jaws Resort Wear in Murrells Inlet, SC. 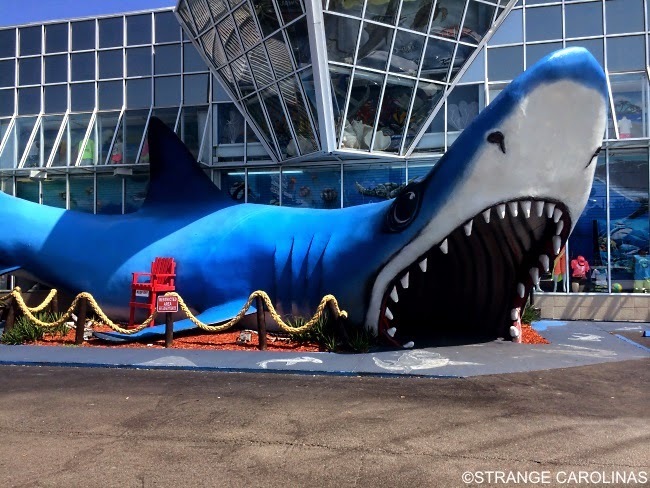 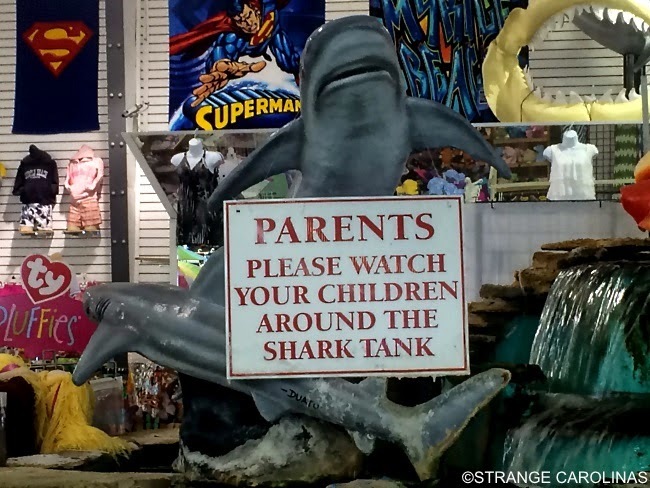 Not only do you get to walk through a giant shark's mouth to enter the surf shop, but they have live sharks as well! 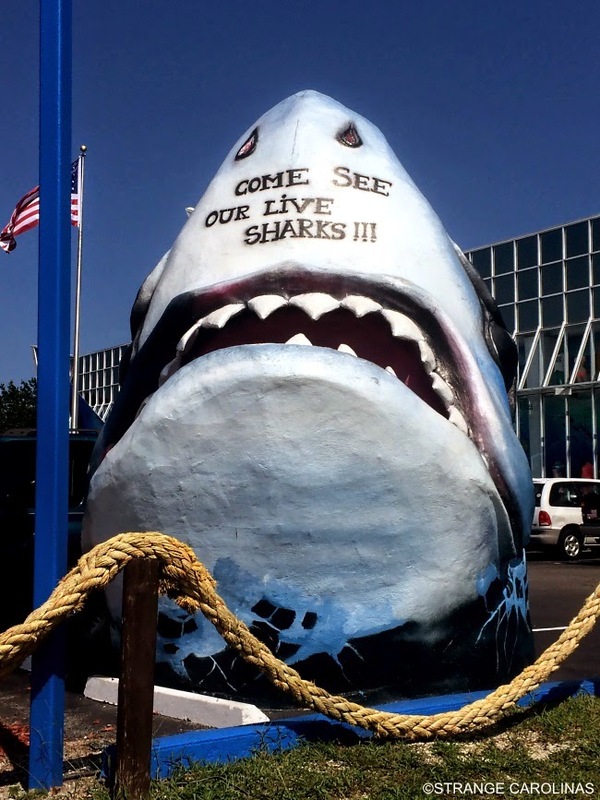 What more will it take to convince you that they have live sharks? 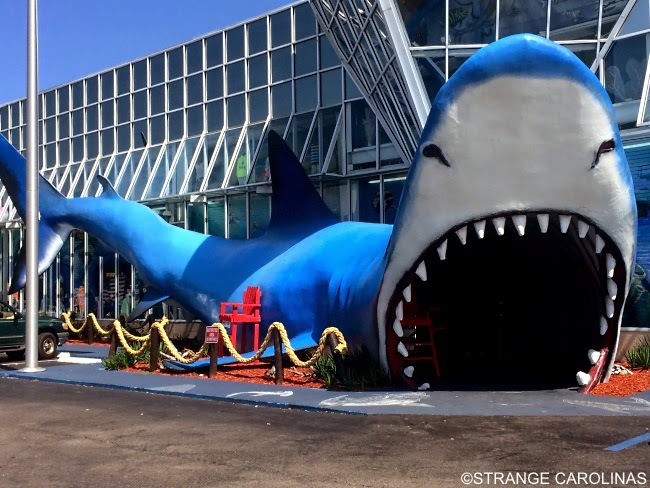 It would probably be pretty cool if we actually included photos of the live sharks, but we thought we'd leave that to your imagination.